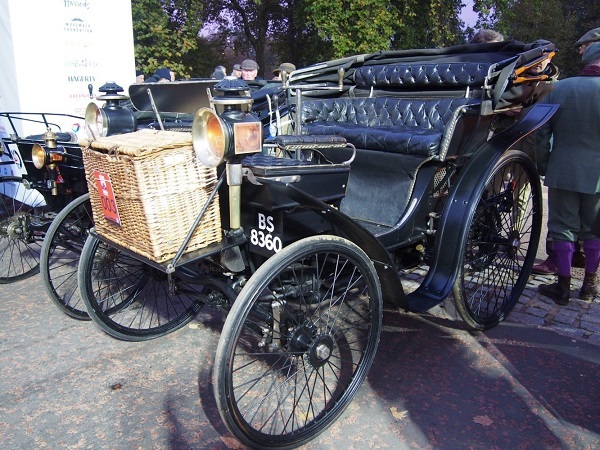 The week before the London-to-Brighton Veteran Car Run is now firmly established as London Motor Week. 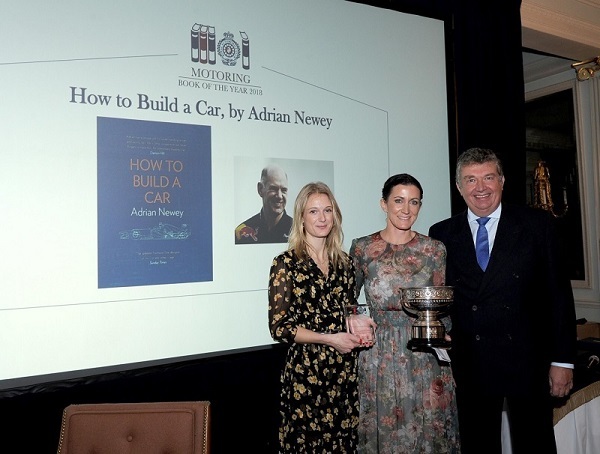 During this week, the Royal Automobile Club organises a series of motoring-related events, the majority of which are held at the Club’s headquarters in Pall Mall. Philip Hall is a regular attendee, and always meets a number of SAHB members. 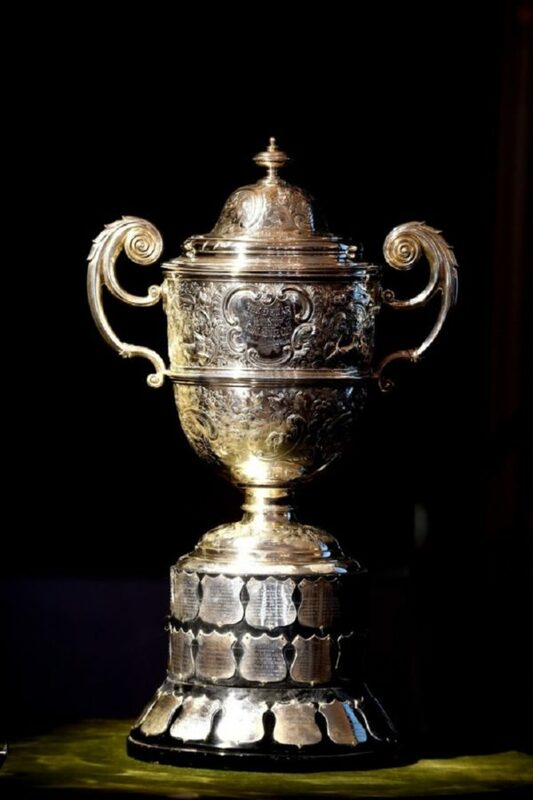 This year John Boothman, John Harrison, Karl Ludvigsen, Nick Pellet, Tom Purves, Nigel Smith, Derek Still and Jonathan Wood were among those in attendance at various events. 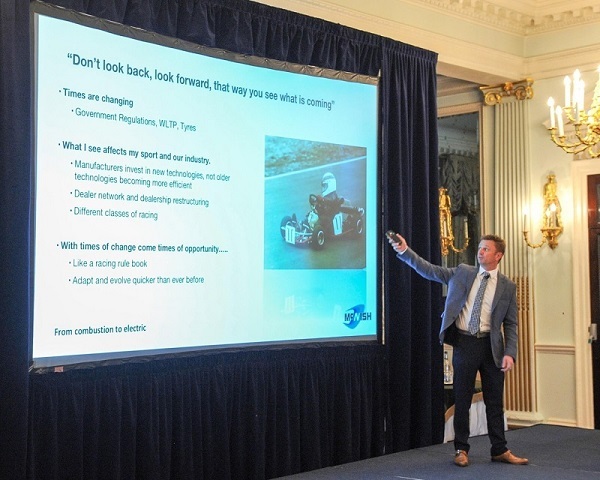 This year’s Motoring Lectures on the Tuesday provided talks on four widely diverse subjects: Bob Owen on the work of the FHBVC, Stuart Gibbard showing connections between tractors and sports cars, Mike Bishop on the development of the Land Rover and Allan McNish on Audi Formula E electric cars. 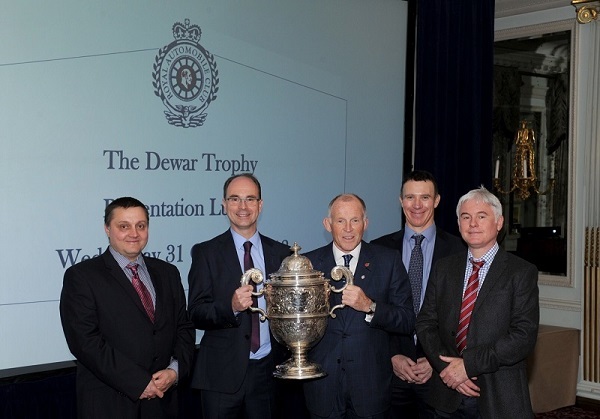 Lunchtime on Wednesday saw the presentation of the Dewar Trophy. This was awarded to Integrated Powertrain Ltd for their exceptionally powerful electric motors and inverters which had triumphed on the Pikes Peak Hill Climb at Colorado Springs. One of the highlights of the week was Thursday’s Motoring Forum with four more talks: Evan Ide on European car manufacturers in America, Richard Peskett on the history of British roads, Mary-Jo Ashenfelter-Heckman on motoring fashion (complete with a catwalk parade by suitably attired Royal Automobile Club members) and SAHB member John Boothman on Romance on the Road. 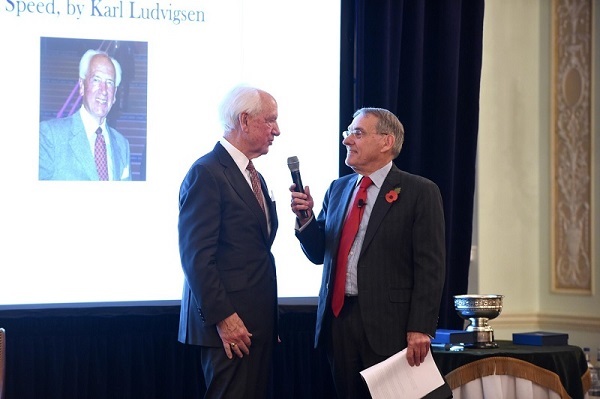 The Forum was followed by a Motoring Quiz with teams of four experts from the Royal Automobile Club and Veteran Car Club competing against one another. The questions were posed by the redoubtable Daniel Ward. If a question could not be answered by any of the eight team members, it was put to the audience and anyone providing a correct answer won a bottle of wine. The Bonhams London to Brighton sale took place on Friday, with some 200 lots of rare Edwardian Automobilia, and 14 pre-1905 cars. 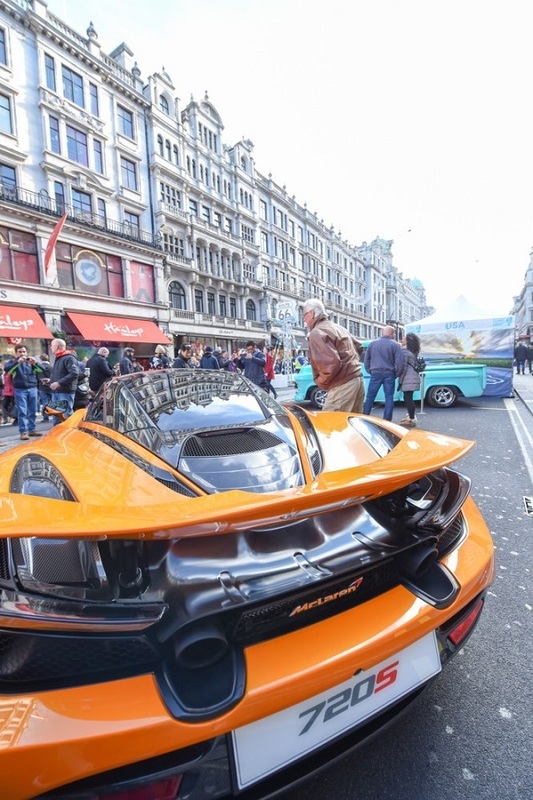 Saturday was the day of the Regent Street Motor show; the road was pedestrianised and became home to some 150 vehicles of all ages and types. 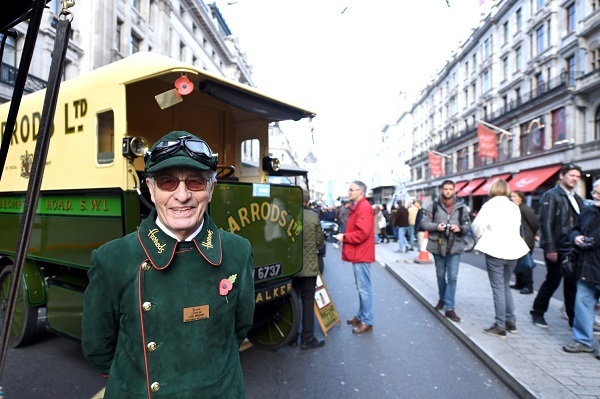 The finale of the week was of course the London-to-Brighton Veteran Car Run on Sunday. This 1895 Peugeot is powered by a two-cylinder engine producing just 3.75hp and is owned by The Louwman Museum in the Netherlands. 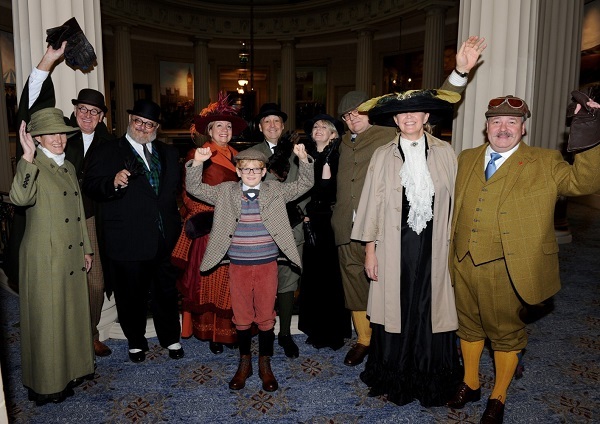 Our heartfelt thanks are due to Andrew Taylor of the Royal Automobile Club for his kind permission to use the club’s pictures for this report, and to Rebecca Leppard of Eventageous PR for her help in getting us to the right people to ask.